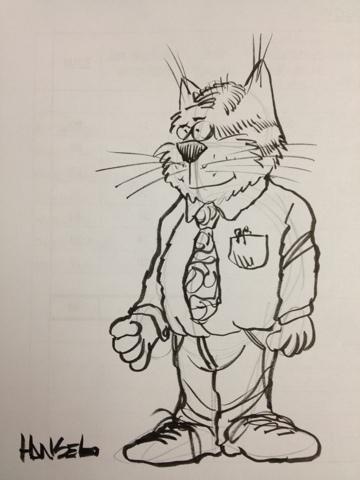 While on the phone, I frequently doodle on the scrap paper laying about on my desk. Maybe I should get a proper sketchbook to do these in? Watch this website for sketches, behind-the-scene insight, and all kinds of other neat things as Matt writes/draws the daily MARTY AND SPUD webcomic.